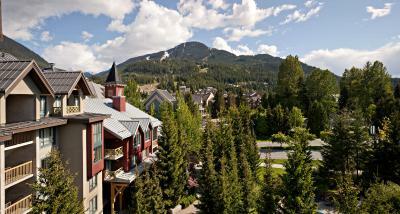 Lock in a great price for Delta Hotels by Marriott Whistler Village Suites – rated 8.7 by recent guests! 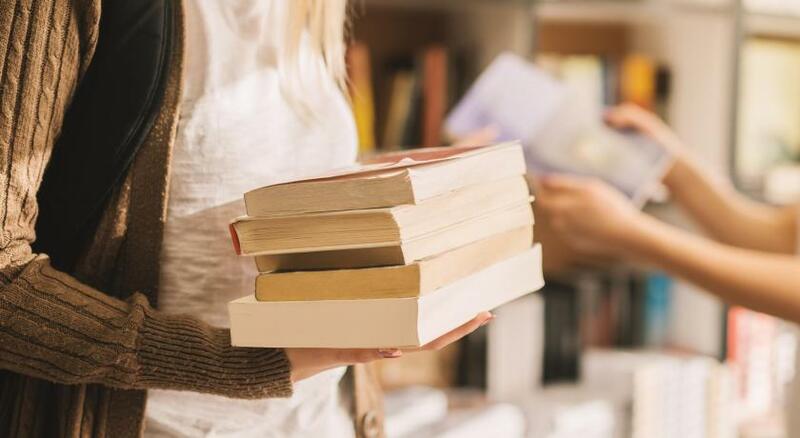 All of the staff were exceptional - extremely helpful and friendly! The breakfast offered was just continental - easier to do on your own. The staff was very polite and kind to people. 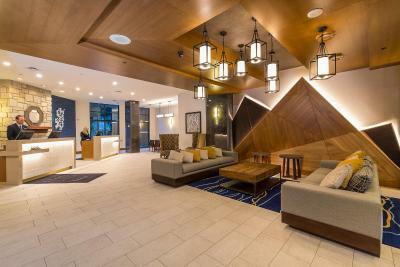 The concierge was vey helpful and provided very useful information and help. The room was very clean and cozy. The bed was extremely comfortable. The property is in a pretty good location. Off the main walking street and 10 mins to lift. Lots of street noise at night and early morning. 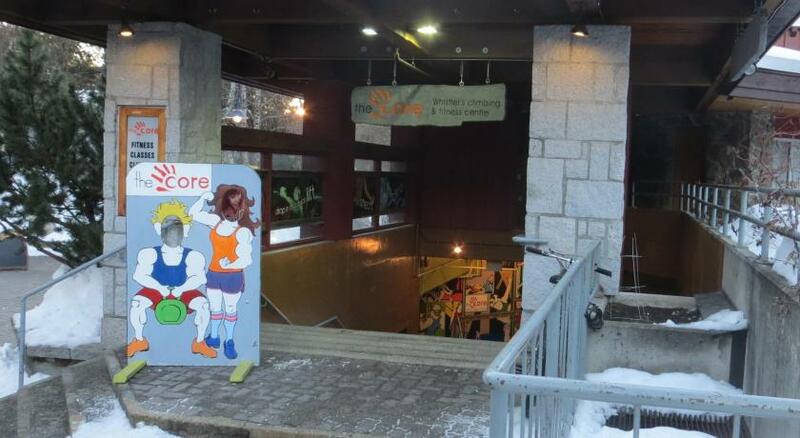 Great location, walking distance to lifts and one block from grocery store. Love the huge outdoor hot tubs (2!) and heated swimming pool. The apartment style room allowed us to cook dinner for two nights. Property was very responsive when we asked for extra pillows and bathrobes. 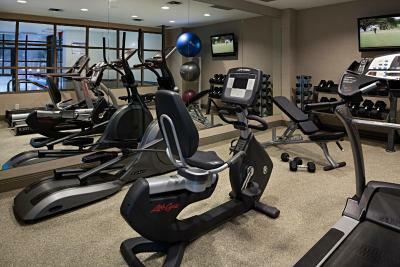 Room was clean, location was fantastic - 10 minute walk to the lifts, amenities such as in room laundry, heated pool, workout room were great. Nearby restaurants. Clean, beds are good, location is ok, and service was very good. 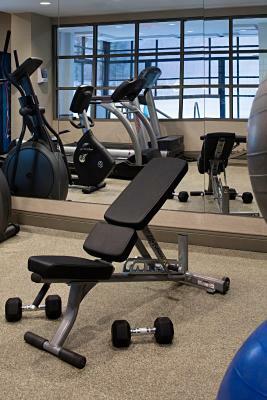 The staff was very nice and helpful, location was perfect, close to main landmarks, restaurants and easy to get around. Good hotel, spacious room, nice kitchenette, laundry in the room, which was a plus. Close to the village center. very friendly staff. Ski rentals available in the hotel. 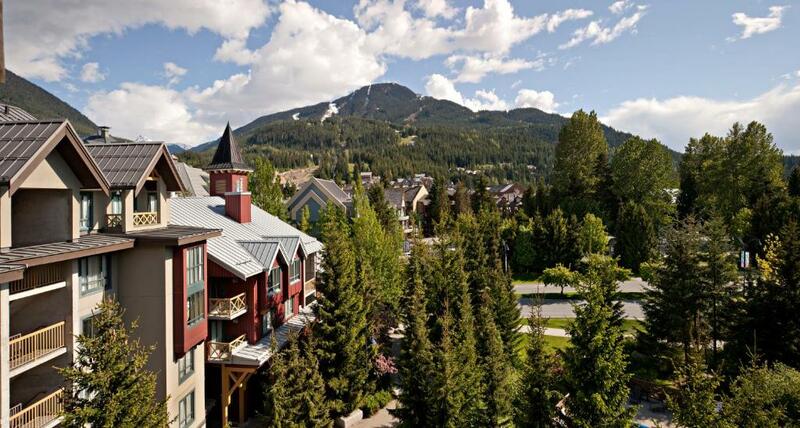 Delta Hotels by Marriott Whistler Village Suites This rating is a reflection of how the property compares to the industry standard when it comes to price, facilities and services available. It's based on a self-evaluation by the property. Use this rating to help choose your stay! 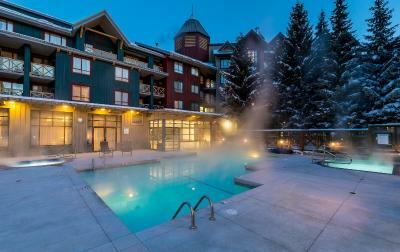 One of our top picks in Whistler.Boasting an outdoor swimming pool and 3 hot tubs, this Whistler hotel is just 8 minutes’ walk from the base of Whistler Mountain featuring trendy shops and restaurants. Free WiFi is offered in all areas. 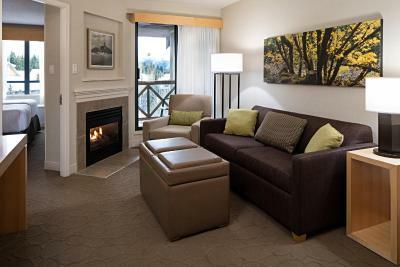 A flat-screen cable TV is featured in all rooms at Delta Hotels Whistler Village Suites. A microwave, a mini refrigerator and a coffee machine are also included. 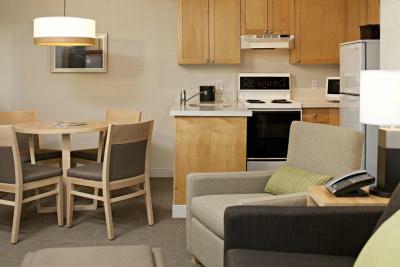 Select suites offer full kitchens, a balcony, washer and dryer, and mountain views. 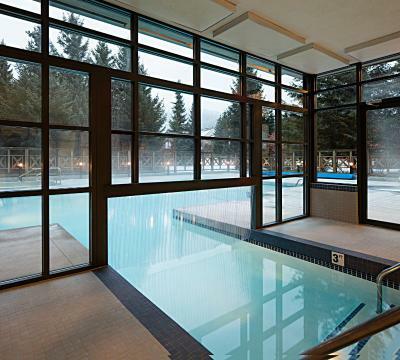 A fitness center and a dry sauna are featured at Delta Hotels Whistler Village Suites. 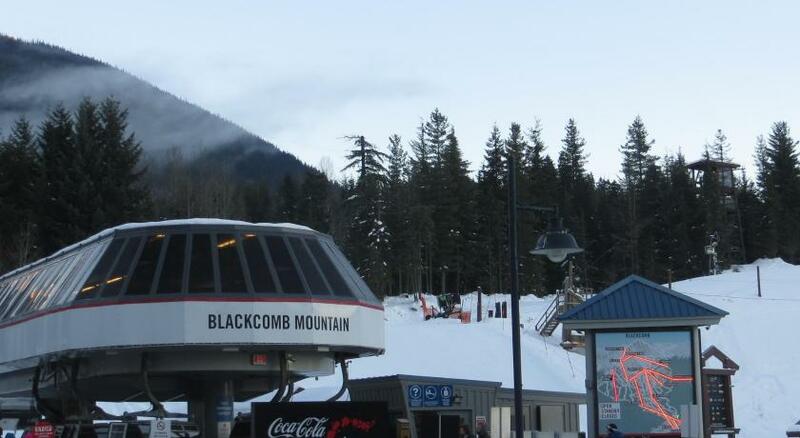 A shuttle service to the base of Whistler is provided. 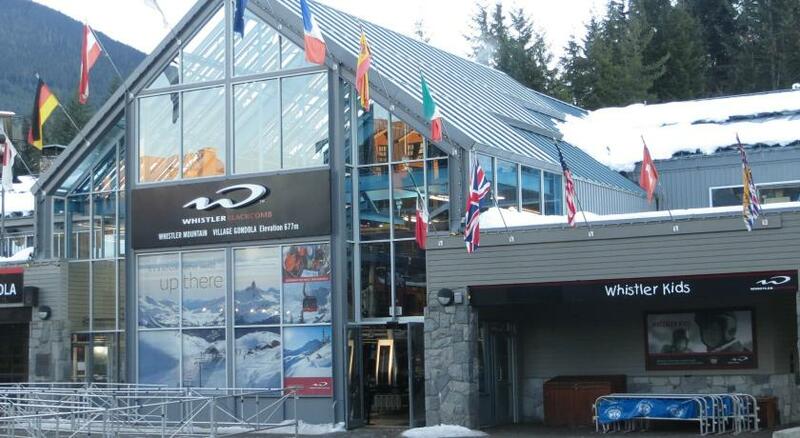 Retail shops offering ski equipment rental, outdoor clothing and spa treatments are located on site. A business center and a 24-hour reception desk provide added convenience. 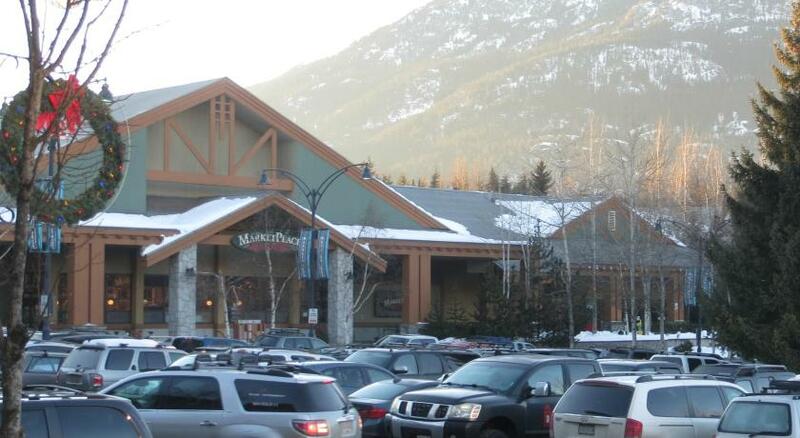 Whistler Conference Center is 5 minutes’ walk from the hotel. 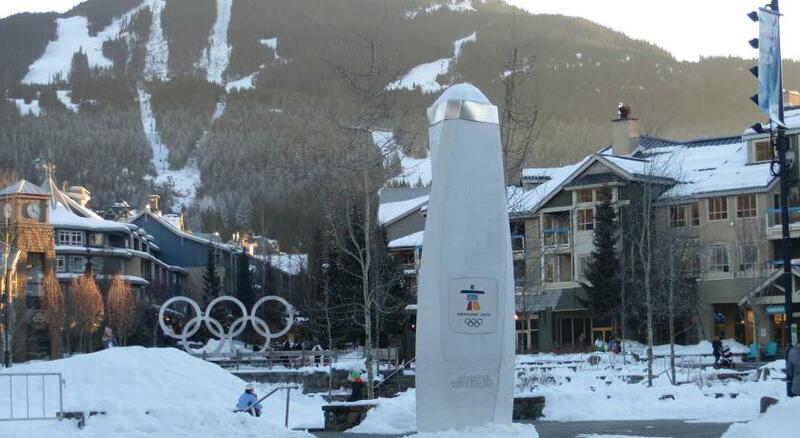 Whistler Golf Club is 1,650 feet away. 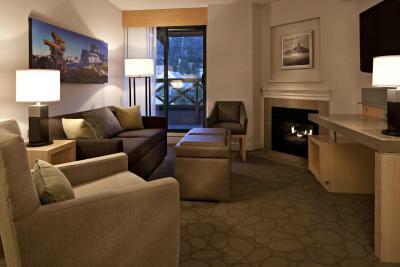 When would you like to stay at Delta Hotels by Marriott Whistler Village Suites? 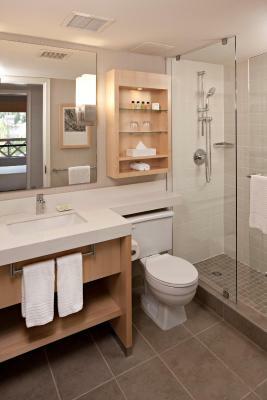 This air-conditioned room features a cable TV and a private bathroom with slippers, robes, and a hairdryer. A kitchenette with a mini-refrigerator, microwave, and kitchenware are included. Free WiFi is available. This spacious suite offers a balcony and a separate living room with a 37" LCD TV and sofa bed. A fully equipped kitchen includes an oven, mini-refrigerator, microwave, and kitchenware. A fireplace and work desk are provided. Free WiFi is available. 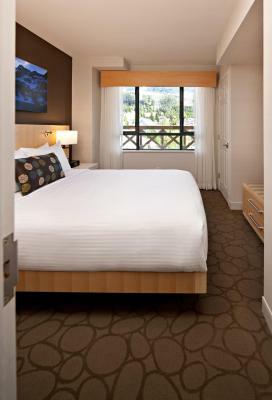 This spacious suite offers a view of the mountains and a separate living room with a 37" LCD TV and sofa bed. A fully equipped kitchen includes an oven, mini-refrigerator, microwave, and kitchenware. A fireplace and work desk are provided. Free WiFi is available. This spacious suite offers a separate living room with a 37" LCD TV and sofa bed. A fully equipped kitchen includes an oven, mini-refrigerator, microwave, and kitchenware. A fireplace and work desk are provided. Free WiFi is available. This suite has a balcony, toaster and oven. 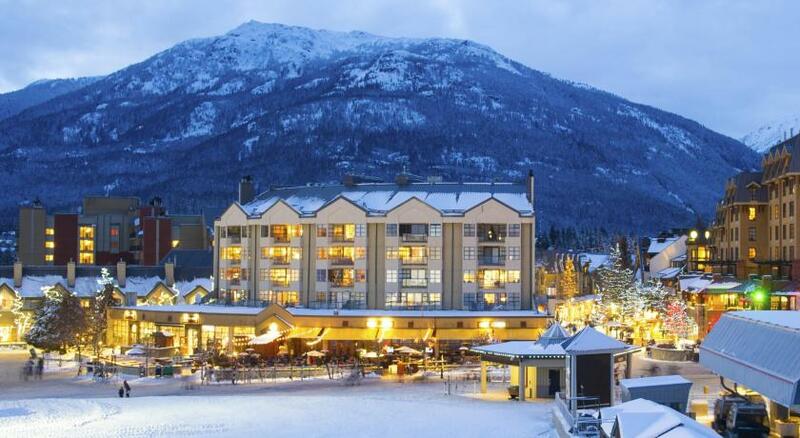 Experience the incomparable beauty of British Columbia’s mountains at Delta Whistler Village Suites. 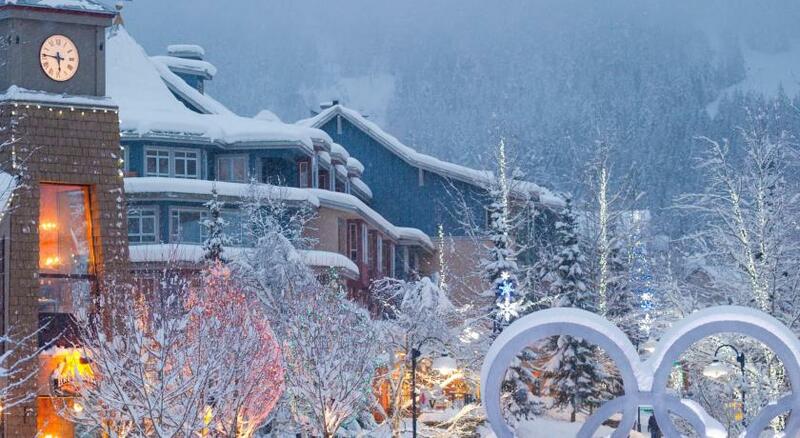 This all-season hotel near skiing, biking, shopping, spas and Whistler Olympic Park is perfect for family vacations, weddings and business meetings. 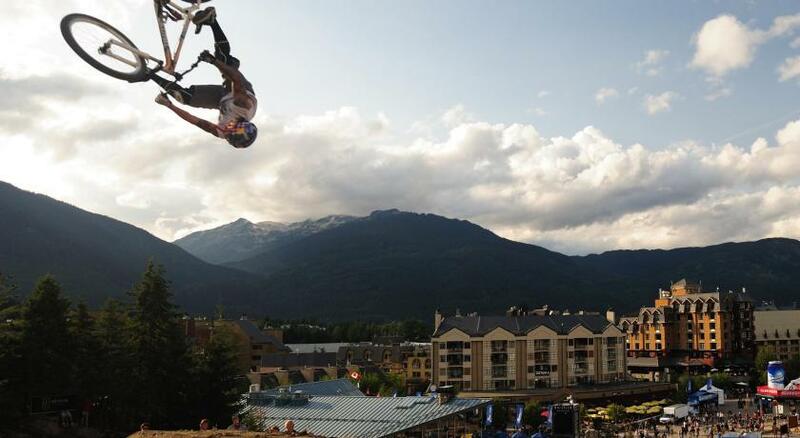 House Rules Delta Hotels by Marriott Whistler Village Suites takes special requests – add in the next step! 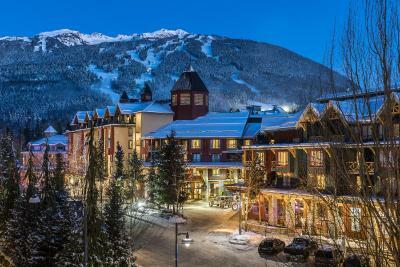 Delta Hotels by Marriott Whistler Village Suites accepts these cards and reserves the right to temporarily hold an amount prior to arrival. Please note: Visa debit cards are not allowed to guarantee a reservation at this property. I mentioned that it was my wife’s birthday, it was a surprise trip, the lady at the front desk was very accommodating and moved us to an upgraded room! And threw in our parking,Complementary!Awesome! pool/hot tubs - small, busy and not as clean as I expected. The front door was not fully sound proof and any activity in the hallway could be heard. On one occasion, guests had an argument/issue in the hallway at 3am... which woke me up. Rooms were clean and modern. Temperature control was great. Massive TV. Mini kitchen station provided. 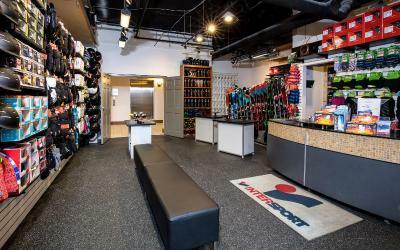 Storage for ski gear at ground floor of the hotel. Staff very helpful and approachable. Everything was fine. I enjoyed the property at every aspect. It was quite noisy at night as our room looked out over village & mountains. You have to keep windows shut. Having laundry in our suite was very convenient. The property has seen better days. We had a two bedroom suite in “Building 2” that was not up to par for a four star hotel. The rooms were small, oddly laid out and dingy. Lots of dents, scratches and rotten wood/mold in bathrooms and kitchen. It appeared that the property has not been remodeled in many years and was just kind of junky. We expected a lot higher quality for the rating and price we paid. Besides the items listed above, we were surprised by the poor layout and design of the “two bedroom suite”. It was two tiny rooms combined into our “suite” and it didn’t meet with what a Marriott suite means to us. Besides the poor quality, our suite had 11 doors in less than 500’ square foot. It made it like a jigsaw puzzle trying to navigate the suite. The jets in the outdoor hot tub were broken. Our overhead dining lamp did not work and our dishwasher was broken. However, we left a note and housekeeping was able to wash all the dishes for us.